We are flexible, experienced and ready for anything the north has in store. Only so much can be controlled on an event day. Vendors who are in it to win it with you can make all the difference. We will always tell you when there are obstacles we may not be able to overcome, and we will work with you to figure out the best solution. Our company creed, "Feeding the world, one event at a time," is about feeding our communities by giving back. Inquire about how Unique Dining can help turn your events into a fundraising opportunity for local food shelves and organizations. We are proudly Veteran-owned and offers military as well as non-profit rates. It's our honor to help those helping others. We promise to be real with you about how we can best serve you. Our team is filled with real people who understand how important your wedding, event, and/or company is to you. In an industry filled with folks selling spectacle, we’ve chosen to just be us, so you can just be you. We spend a lot of time at Unique Dining coaching our team, asking each other for feedback, and working to be better versions of ourselves personally and professionally. Being good people, focused on building a business that superbly serves its clients and employees is REALLY important to us. Every event we are lucky enough to be a part of and every new addition to our team is an opportunity to grow and be better. Banquet Halls (carpet and all), barns, and backyards, we do it all. 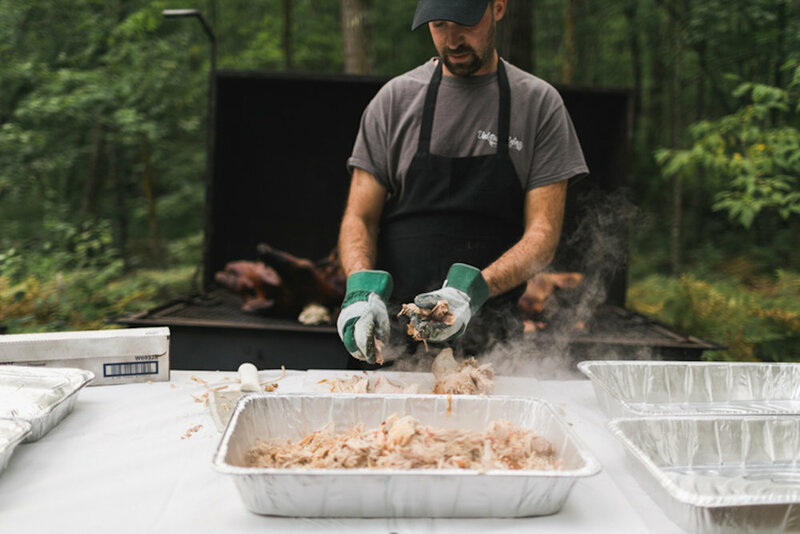 Whether transporting our custom mobile cooking trailer, utilizing an on-site preparation kitchen or arriving ready-to-serve from our headquarters, we love working in a wide spectrum of traditional and non-traditional spaces. Our relationships with venues are fundamental to our success and service. Exclusive at Bloom Lake Barn and Courtyards of Andover. Proud to be an exclusive caterer alongside D'Amico Catering and Mintahoe at Winehaven. Preferred Caterer of Klubhouse and Juliane James Place. Sponsor of Minnesota Blue Ox Hockey’s 2018-19 season, exclusively providing food and beverages during games. 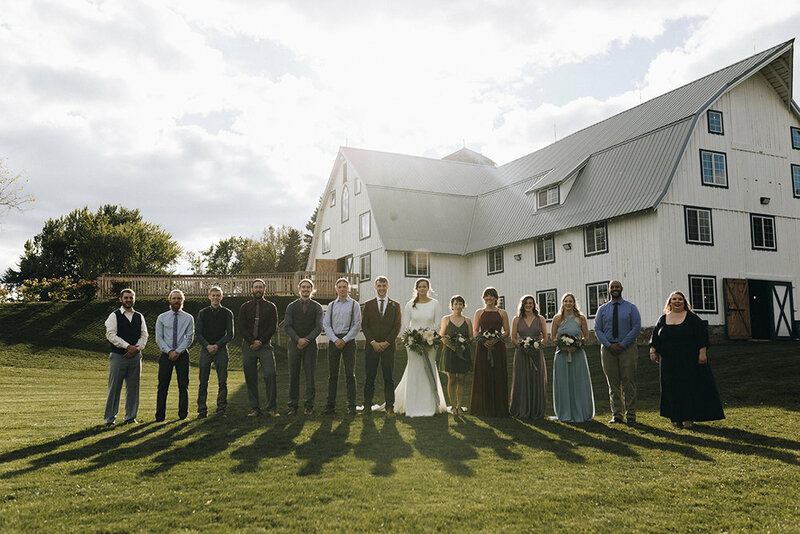 Bloom Lake Barn provides that "out of the way" country charm a short 40 mile drive from the Twin Cities, nestled in the picturesque St. Croix valley. The wooden barn is enormous and contains vaulted ceilings and gorgeous chandelier and cafe lighting. The lower level of the barn is another unique space containing rustic beams and high top tables built from original milking stanchions. The courtyard includes a pavillion, bon fire pit, lawn games, and a walking trail through the woods. Courtyards of Andover (MN) is a event center and banquet facility ideal for weddings, expos, banquets, corporate events and the like. We are located just outside of the Twin Cities, in Andover, MN. We offer spacious rooms with built in, get-down dance floors and all the amenities you could want. Like most banquet halls, we have unique carpet. It goes with our awesome staff, great food, and warm bartending staff. Unlike many banquet halls, you can have your wedding ceremony outdoors and head right on in to party. (Because your guests will be polite but no one wants to wait to get a drink during a celebration.) Courtyards of Andover welcomes all couples. The "Courtyard" in Courtyards of Andover, is available for wedding services up to 300 guests as well as for non-wedding events. After your event, let your guests relax and mingle in the Courtyards with a cocktail and hors d’oeuvres. And OF COURSE we have fire pits. Cause Minnesota. Winehaven is a 50-acre estate and winery situated between three lakes in Chisago County, MN. Their panoramic views of the lakes, rows of oak wine barrels and gorgeous hillside vineyards frame their picturesque event facility. The Klub Haus is the Twin Cities' premier budget Rental Hall conveniently located on Rice Street in St. Paul. The hall is a unique, historic building, newly decorated and restored to its original grandeur. Perfect for weddings, cultural events, private parties, live performances, receptions and gatherings, both large and small. Juliane James Place is a wedding venue carved into the middle of the woods in the middle of Minnesota. Finlayson, MN, to be exact, a little less than two hours north of the Twin Cities and an hour south of Duluth. Juliane James Place hosts ten weddings annually of up to 150 guests, from June to October. The property is a 2017 MN Bride Best Of Finalist for Best Minnesota Destination Wedding Venue. Are you a venue looking for a reliable catering partner offering a range of affordable to higher-end catering options? We'd love to talk about your needs and how we've helped our venue partners grow by providing them with reliable, solid catering services. Shoot us an email at info@udecatering.com.